While utility poles these days can come in a variety of materials, such as concrete, metal, and even fiberglass, the best material from which utility poles can be made is wood. There are many reasons why this is, here are just a few of them. Wooden poles are very cost-effective. 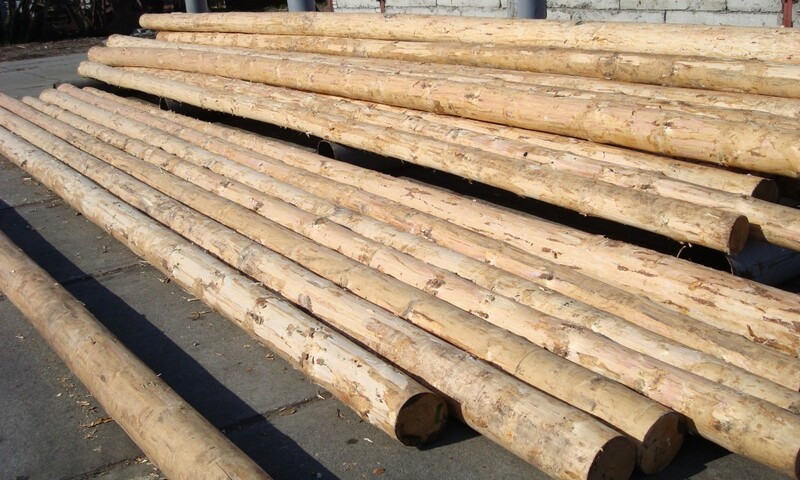 While the price of poles can vary between sellers, the raw cost of a wooden pole versus the cost of manufacturing one from other materials, along with sourcing of materials and labor, makes wood the best option when it comes to price. There have been analyses of the life-cycle of poles which have found that treated-wood poles are the single most economical option for utility poles. Wood is naturally strong, just as Mother Nature intended it to be. Wood also benefits from a low thermal expansion ratio. This means it is very stable and does not corrode like metals do. There are some treatment products which can be applied to the wood that can even ward off bugs and fungus, the only two enemies that wood really has. The response rate at which wood utility poles can be manufactures is exceptional. The rate is far higher than that of metal or other materials. This has been proven in real-life scenarios when natural disasters have struck parts of the country. In fact, there are some plants which can actually produce over 400 wooden utility poles every day. These can be life-saving when it comes to aiding those in need in times of disaster. Being “green” is at the top of almost everyone’s list today in regards to aspects of manufacture that are important to not only consumers but to those who produce as well. There can be no more “green”option than that of using wood to create utility poles from. Whereas metals and fiberglass are artificially created, wood is a natural and renewable resource that can be used over and over again. It is also one of the most easily recyclable materials that is known to man. This all means that when one needs utility poles and sees wood utility poles for sale, this is by far their best option and it should be taken advantage of immediately.